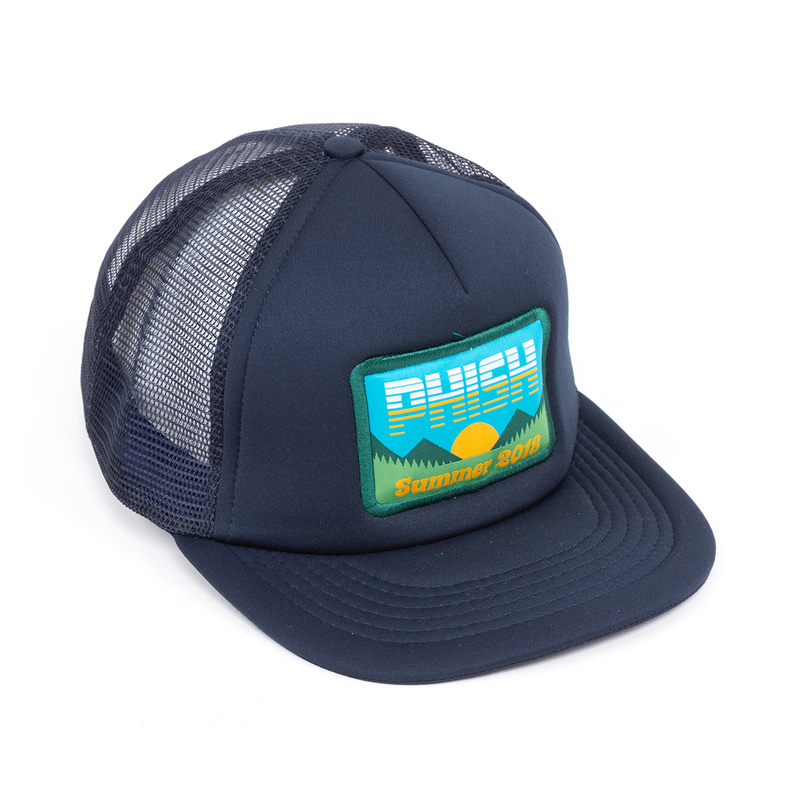 Embroidered Summer Sunset patch on a foam front trucker cap. 100% polyester, Structured, mid-profile, five-panel with Snapback closure and mesh backing. Love the way the hat looks. Hat was smushed in transit (I'm assuming that's what happened) so it fits a little awkward. Like it's flattened on one side, and a tad wonky, but I still wear it all the time. It makes me happy.